This has been another busy month as we push to find the remaining VAMs and work through dozens of coins in that quest. In early September we received our recent VSS submission back and those images are now posted to the site. This brings our inventory on the web site to 879 coins. Additionally there are some revisions to VAM 4 - Doubled 8-1. VAMs 55 and 55A are now collapsed into VAM 4, with VAM 55A becoming VAM 4A - Doubled 8-1, Clashed Obverse n.
Also VAM 9 - Doubled 18, Eye Tear Drops is revised to identify the reverse die as the same as Die 2 of VAM 28. So we have two reverse dies for VAM 9. And last but not least, we asked for a review of several VAM 53 clashed coins. Although clashed, they did not provide identifiable letter transfer, so nothing there yet. But this gives us some hope that there may be versions that are more strongly clashed, so we keep looking. 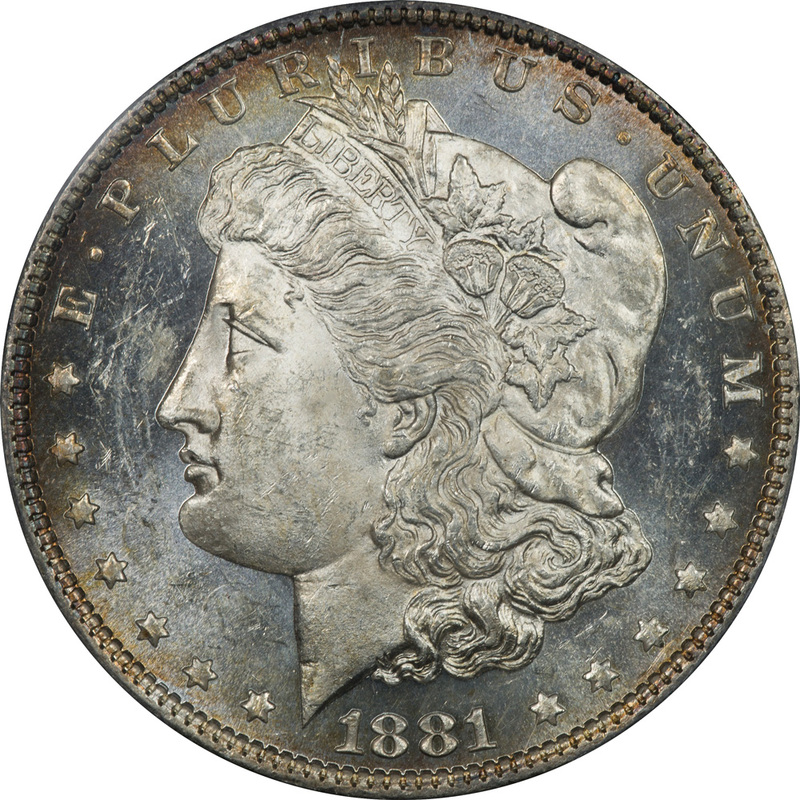 On August 24 we sent two groups of coins to PCGS for grading and attribution. Included in the group are a total of fourteen coins, six of which are either VAM 1D or VAM 5. Of the six, four graded and two N graded. But with the VAM 1D we filled a grading hole or two, so a great batch. Included in this group is a VAM 1D - Pummeled "Flaky" Eye in what we believe to be its earliest state. On this coins there are "spider veins" on the bridge of the nose and the eyeball, but no deterioration of the eye socket. So we will pay a little extra attention to the images when they return from VSS and examine all our examples for the progression. This month we finish up the obverse dies and will then turn our attention to the reverse dies. The big challenge has been the Die 1 coins, but that is now available on the link on the Obverse Die Fingerprints page. Adding to the challenge is the addition of dies 50, 51, and 52. Although it is difficult for us to complain since these are our discoveries. But all that work now opens the door to the exploration of the reverse dies. There are fewer of them, so a similar discussion and analysis will theoretically take less time. 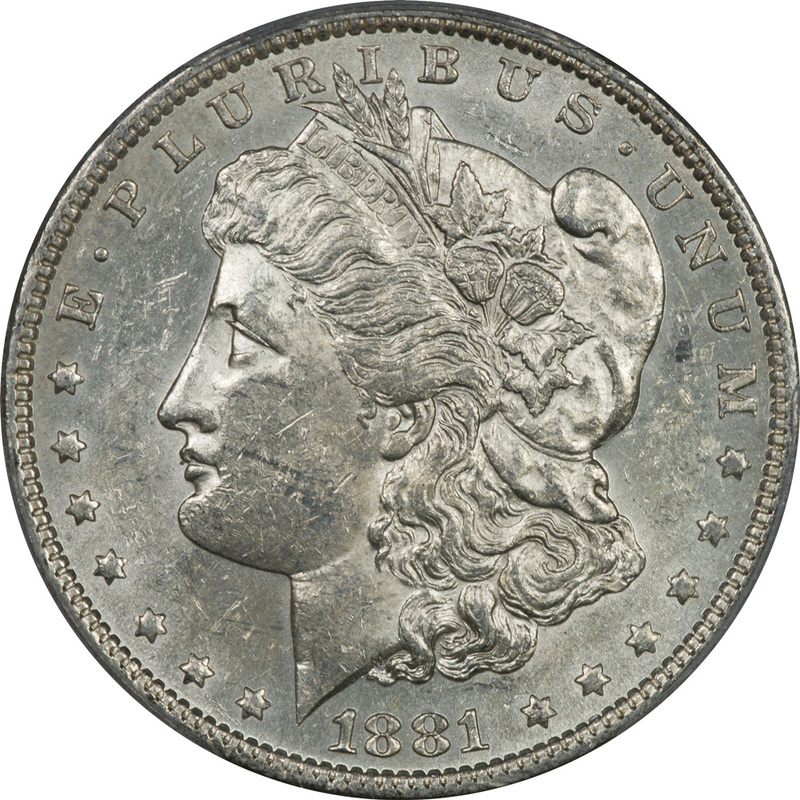 However, we plan as a part of this the pairing of the obverse and reverse dies into the associated VAM so that we can see what the actual coins look like in the early, mid, and late state of wear. So rather than being shorter, this could be longer, a lot longer. We added just three coins to the Toned Coin Section this month from our recent VSS submission. These coins were added and show a little color, but not enough to be added to the Toned Coin Section. 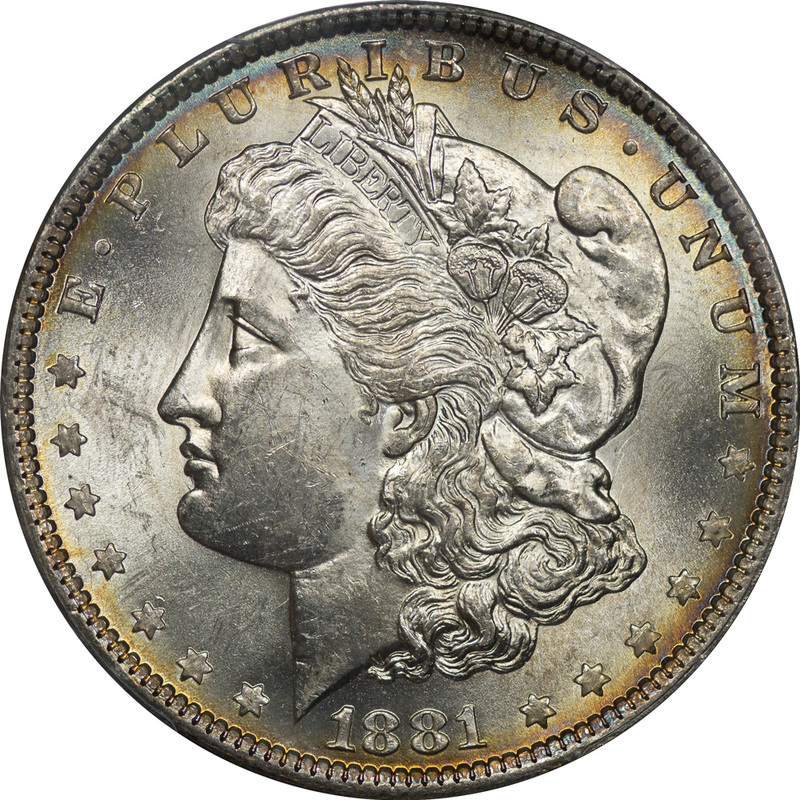 If there is a theme here it is that we excluded coins with monochromatic rim toning only. All of these coins are in the very early stage of picking up a little color, but nothing more. We seem to be reading a lot these days about gold and silver, and the relationship of these metals to the Country's history. One Nation Under Gold is a new publication by James Ledbetter and traces the relationship between gold and the creation of our monetary system. But the book is about more, much more. Mr. Ledbetter covers the behind the scenes politics of gold and government, and sometimes corruption. He tackles many, many details and does so in a very readable and interesting format. This one is worth the time and effort to read and enjoy. 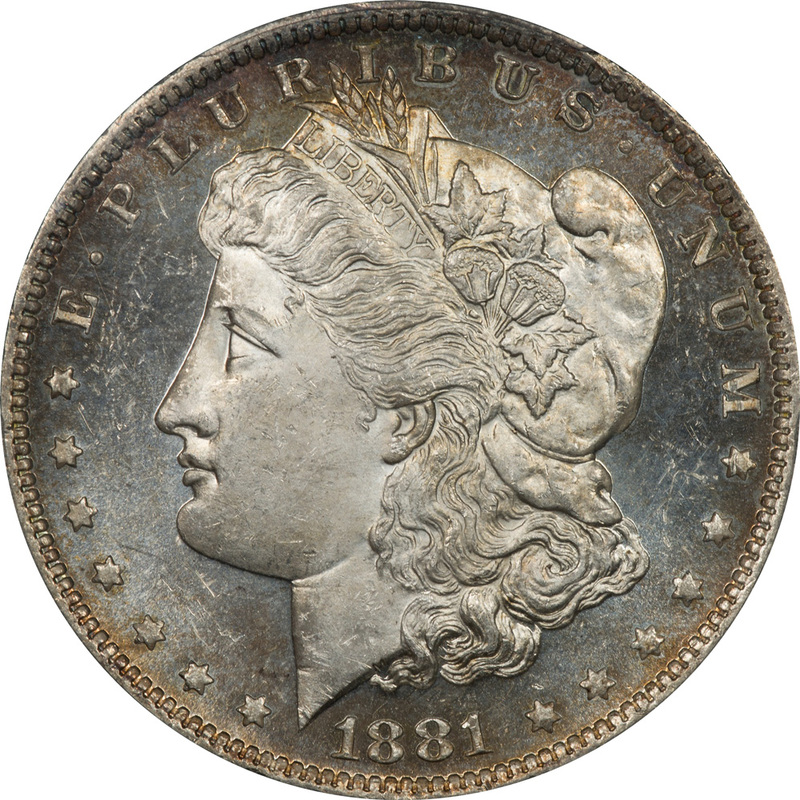 One night about the middle of the month I could not sleep and i wound up downloading and reading Carson City Morgan Dollars and the Coins of the GSA Hoard, by Adam Crum, Selby Ungar, and Jeff Oxman. This is probably a reference guide, but it proved to be an easily read book with some facts about the Carson City Mint and the Comstock Lode that is well presented. Carson City Morgans are not in our wheelhouse, but this is an interesting study of them and well worth the few hours it takes to read. Every time we think we have seen all the ways people can destroy perfectly good coins, something new comes along. Often these are seen on on-line auction sites where the seller brags about their creativity. And that brings us to the sad case of this coin. It showed up in mid-September with the seller bragging about the gold plating and to make it more of a keepsake, he applied an acrylic coating to both sides. So once again we have another Morgan that has been relegated to the melt pot because some amateur decided to get cute. How many have suffered a similar fate over the last 135 years or so will never be known. The Obverse Die 1 part of this study is a little different. Since the die is somewhat generic, and at the same time contains similarities when grouped to create a VAM we had to do a new page. The die is examined by the reverse die designation and this proved to be the trick. When we did this the coins began to group and showed similar cracks and breaks. Obverse Die 3 has a pairing with VAMs 4, 4A, and 5. Having studied these dies there is some question in our mind about them being perfect matches, but that is a different investigation for another day. There is enough similarity to understand the current pairing. So far only VAM 5 shows any signs of a die crack and this is very minor. The above coin is a VAM 4 and shows no cracks or breaks. We have eleven VAM 4s and none of them show any die cracks or breaks. We have only one example of the VAM 4A (reclassified from 55A when it was retired). At the AU 50 grade fine cracks and breaks often wear away and we would be reluctant to identify any features. Because VAM 5 is a Hit List 40 VAM we have a number of examples, twenty-six as of this writing. None of them show any die cracks or breaks. Obverse Die 50 is new and associated with VAM 74, one of our discovery VAMs. VAM 74 - Doubled 18 has doubling similar to other date issues, but polishing lines in the ER of LIBERTY are distinctive. Since this is a new discovery we have but one example and it is an AU 53. Although cracks and breaks could have worn away, we see no signs of any on the surface. A discovery VAM of ours in September 2017, VAM 75 is described as "Doubled 1, Tripled 8." 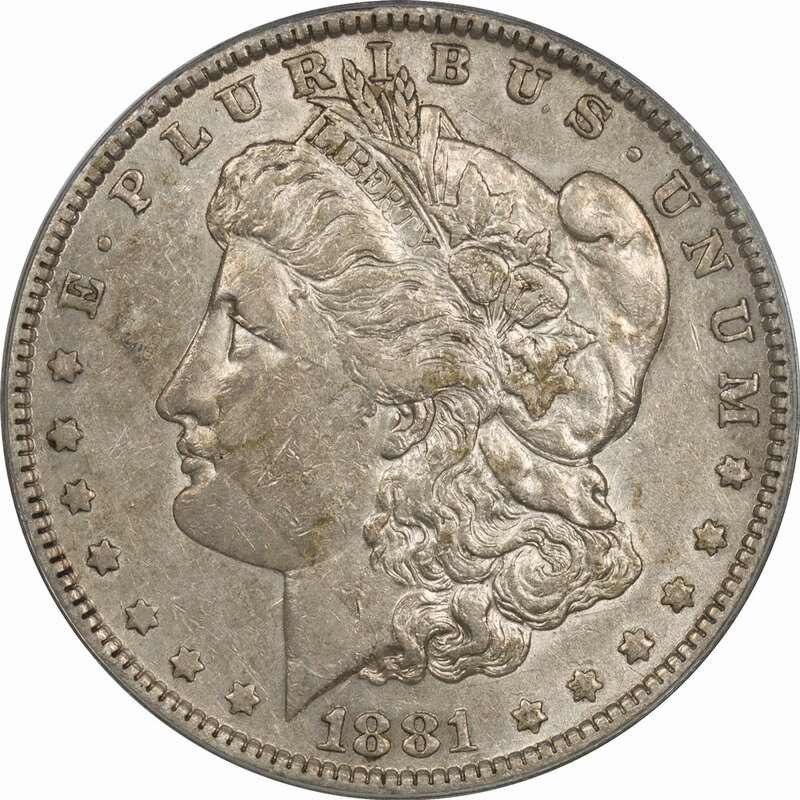 The obverse die is a new one and is distinguished by some polishing lines in the ear. Our one example shows no die cracks or breaks, but it is DMPL and we need more examples to call this one conclusively. Obverse Die 52 is associated with a new discovery, VAM 76 - Doubled 18 Top. It is distinguished by polishing lines around the eye and doubling of the cotton boles. But this is a DMPL grade and by definition would almost impossible for it to have die cracks at this stage of polishing. Because this is a new discovery we have but one example as of this writing.